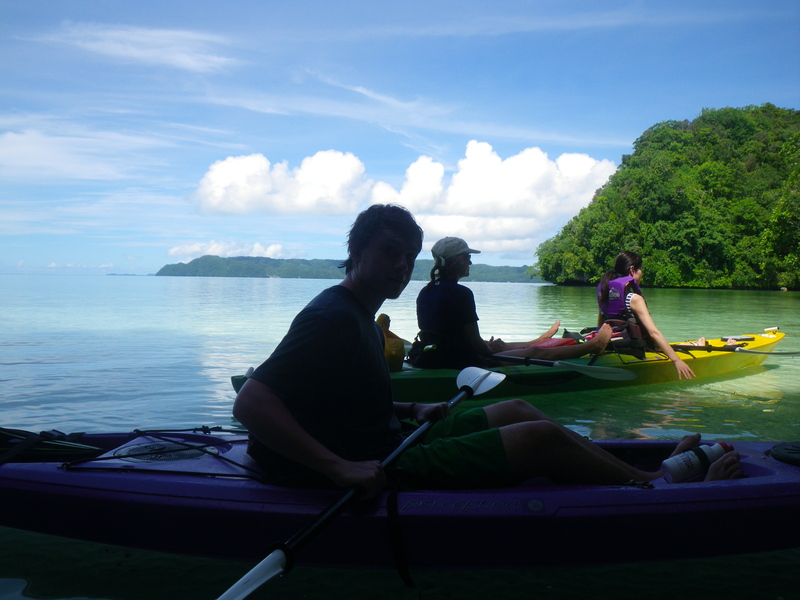 On Monday morning we signed up for a kayak tour of the rock islands. As mentioned in my earlier post, these islands are a Palauan treasure with flora and fauna unique to only these islands. 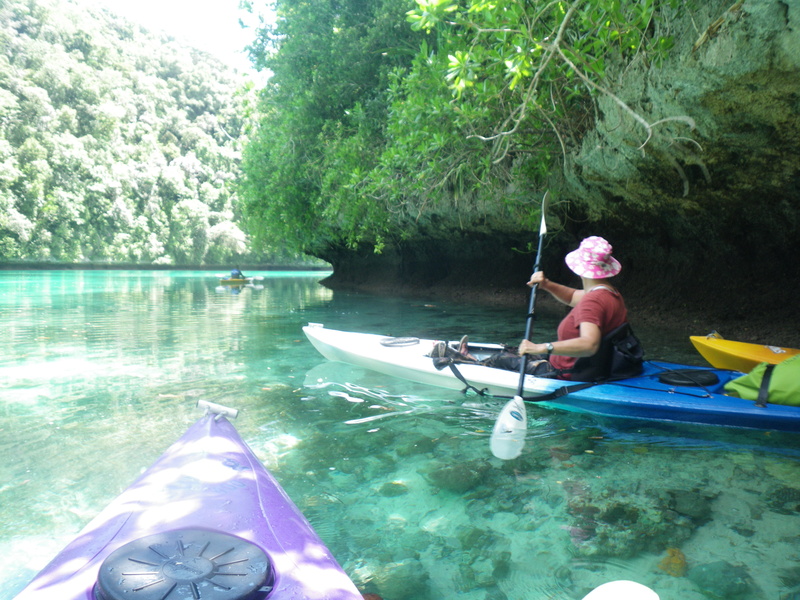 The kayak tour took us on a close up and personal tour of the small marine lakes and bays of the islands. 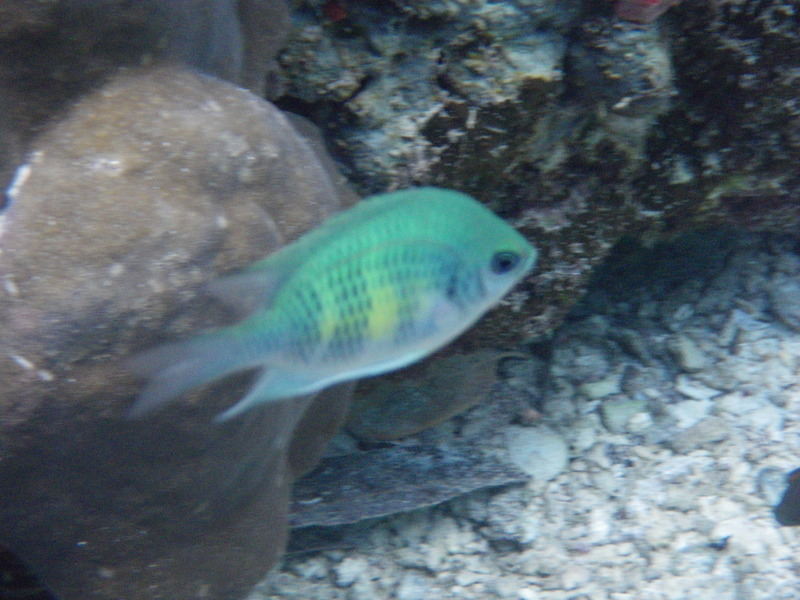 Unlike our previous boat tour where we visited shoals of large colorful fish, this tour was to R Bay, a breeding ground for different specifies of fish including the black-tipped grey reef shark. Sure enough, we saw baby sharks swimming around the bay, alone, or in small groups. Our guide explained that the mother returns to the marine lake where she was born to give birth to her young, and then leaves them there to fend for themselves. This was a relief as we were a bit worried about bumping into mummy shark who I’m sure is a lot less cute… We were also looking for baby manta rays, but weren’t lucky enough to spot any. 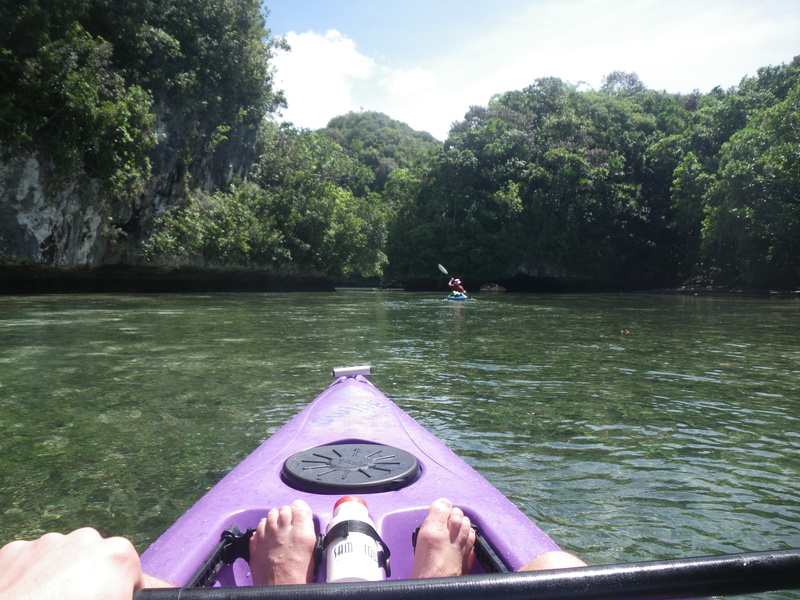 We paddled around the edges of the small limestone islands, protected from the sun by the overhanging roofs of the eroded island sides. 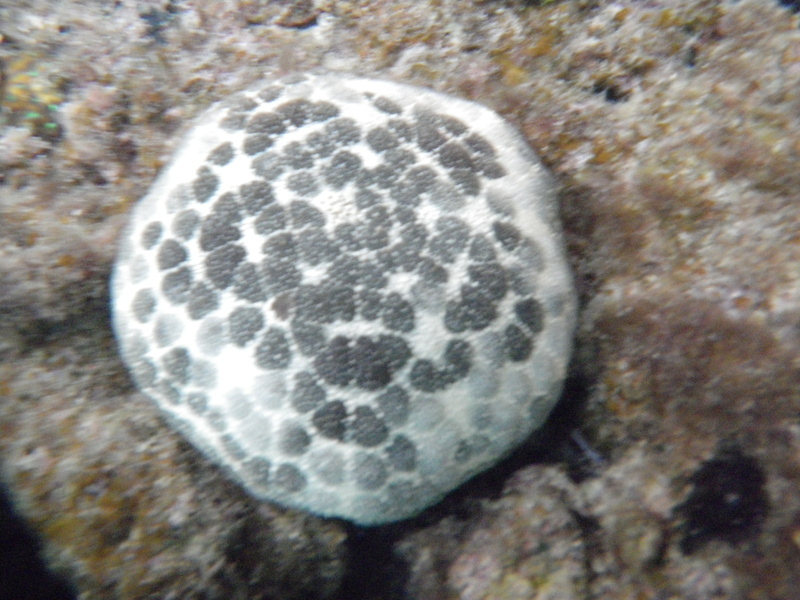 Erosion is caused not by the waves (there aren’t any), but by mollusks that bury themselves into the limestone rock and slowly wear holes into the rock surface. Then, aided by the wind and water, the rock slowly crumbles and falls away forming the unique mushroom shape of the islands and many natural arches. The overhangs also provided great shelter from the rain. It rained, was cloudy, sunny and rained again as the overhead clouds moved rapidly around. Palau is said to be the starting point for many of the typhoons that affect SE Asia. Typhoons don’t affect Palau, but the open sea around acts as a breed ground where they build strength and head westward to the Philippines, China and Japan. 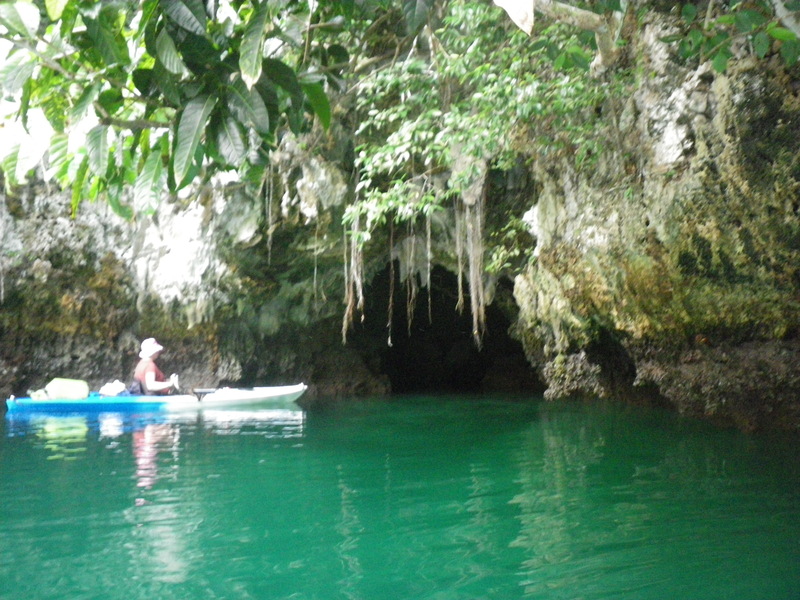 The kayak tour was about seven hours of paddling around, stopping and starting to snorkel and rest. I thought I was going to be exhausted but the pace was slow and steady and it turns out I’m a competent kayaker. Who knew?! Another highlight of the tour was the bird life. 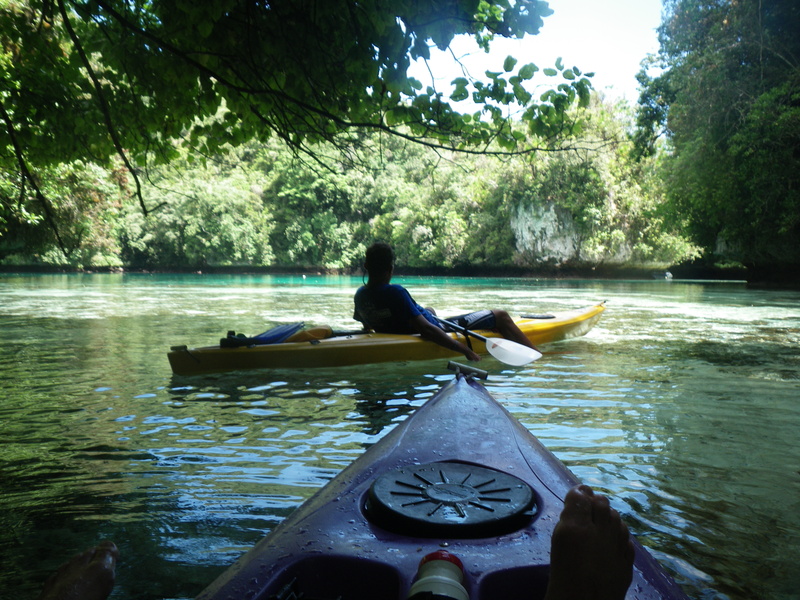 As we slowly paddled around, birds would swirl around our heads, flying unexpectedly from the trees. Our guide knew their names before we saw them by their cry. The most common was a red heron that would sit still on a branch or floating log and, when startled, it would spread its unexpectedly large wings and soar off in front of us. We saw kingfishers, different kinds of swallows and gulls, and plenty of others whose names I can’t remember. Our guide also knew the names and medicinal qualities of all the trees offering cures for everything from arthritis to toothache. The Palauans name their trees according to how they use them, and if there is no practical use for the tree, it doesn’t have a name. 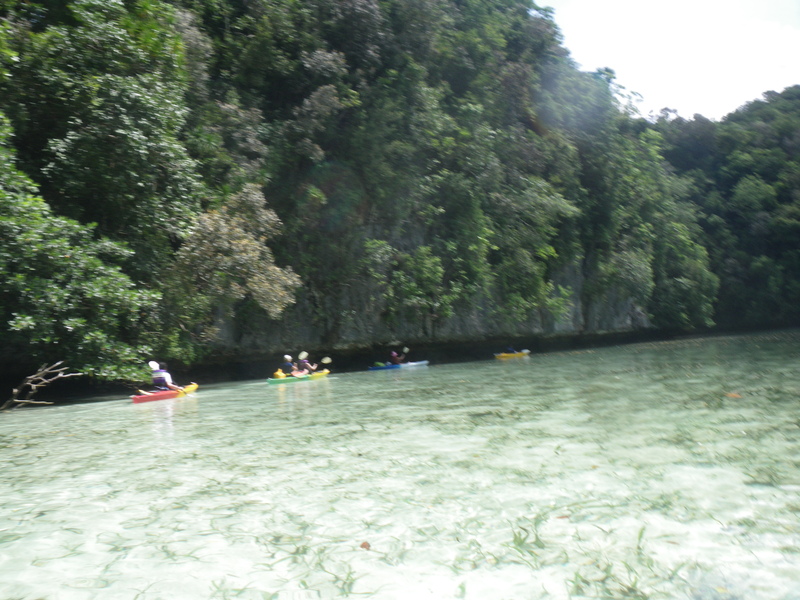 A beautiful day, and a wonderful way to really experience the peace and beauty of the islands.